Home / News / Events / DOMEN’S NEW RECORD! Domen Prevc in a great style won the qualification in Titisee-Neustadt, Germany with a new hill record – 148m. The old hill record (145m) was set in 2001 by Sven Hannavald. It was a great qualification for the Slovenians ski jumpers. Jurij Tepes landed on 138.5m and finished second with 133.6 pts and Robert Kranjec was 8th with 137m and 121.1 pts. 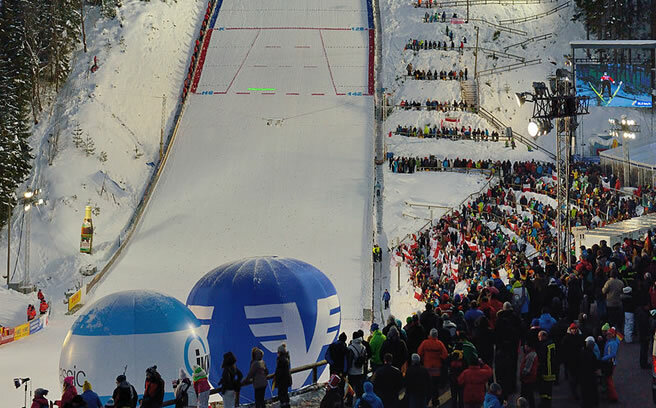 Domen Prevc – Another win and a new hill record!